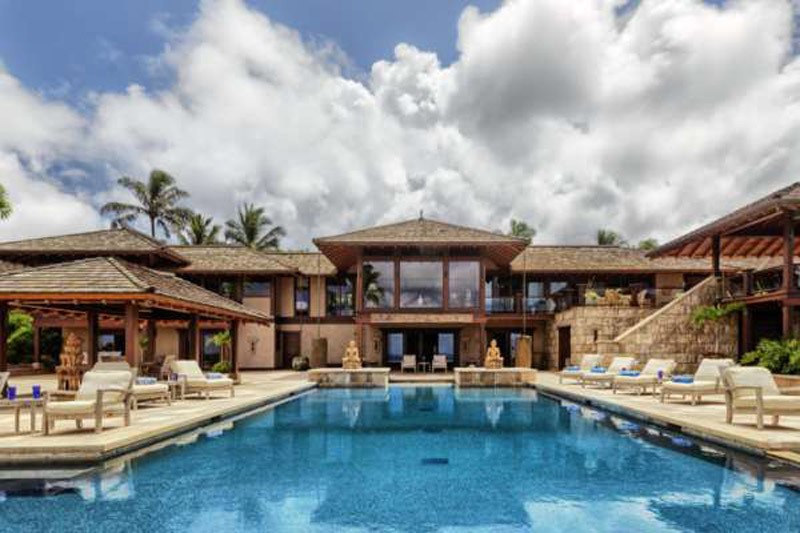 Last May, the former director of the Morgan Stanley Asia Pacific company, put a premium residence on the north coast of Kauai on sale at a price of $70 million, making it the most expensive in this part of the world. 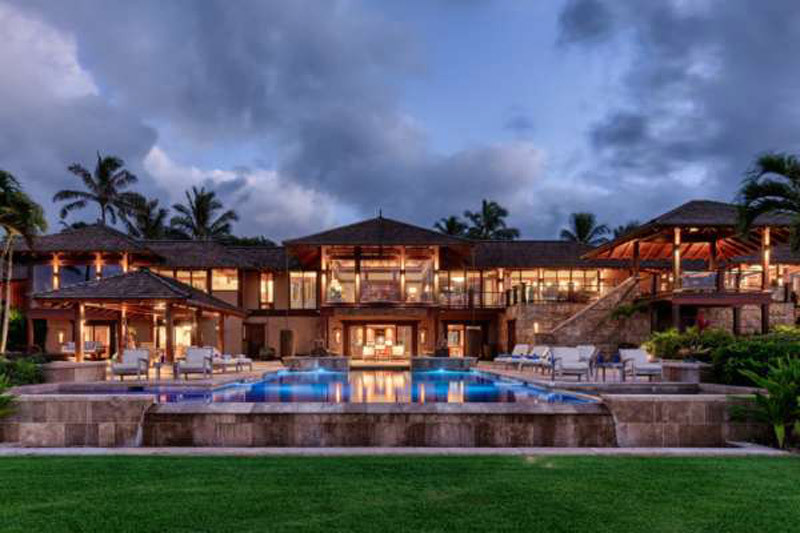 Luxury villa has been sold officially at a price of $46.1 million, which is considerably less than the required price, but it is still quite enough to set the record for the most expensive family home sold in Hawaii. 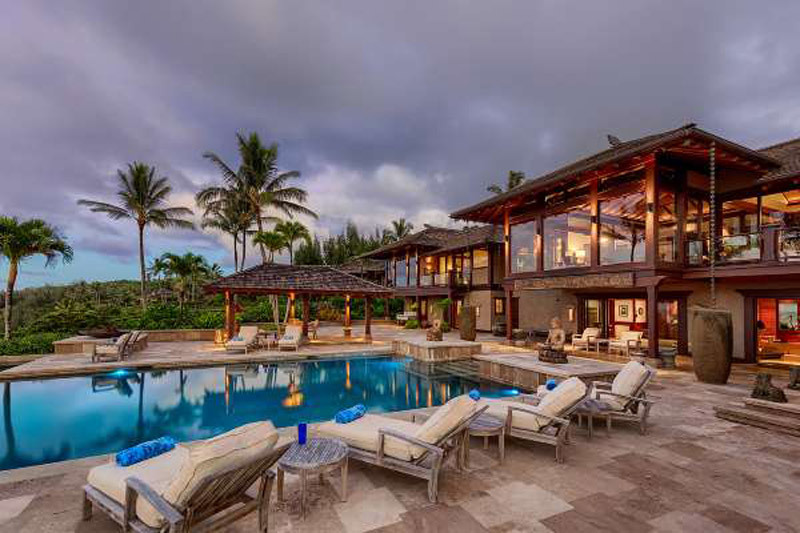 This direct-access property measures 15.3 hectares, and is known as Hale ‘Ae Kai, and is located near the small town of Kilauea. 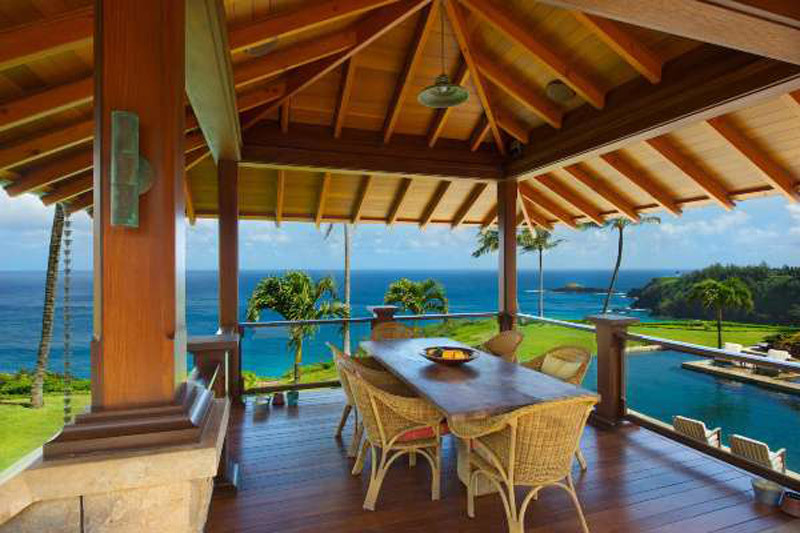 The superb location of this property offers a great view of white sandy beaches, historical lighthouse and volcanic mountains. 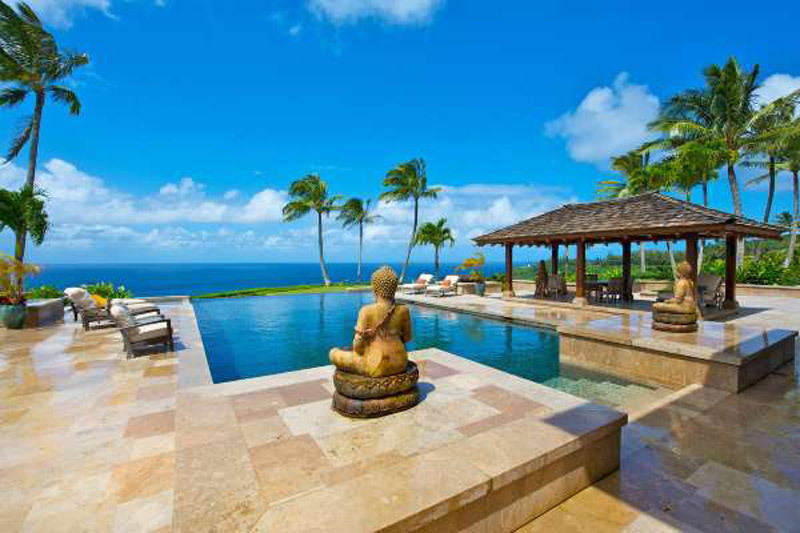 A private staircase leads you to the powdery beach, where you can sunbathe and swim as much as you want. 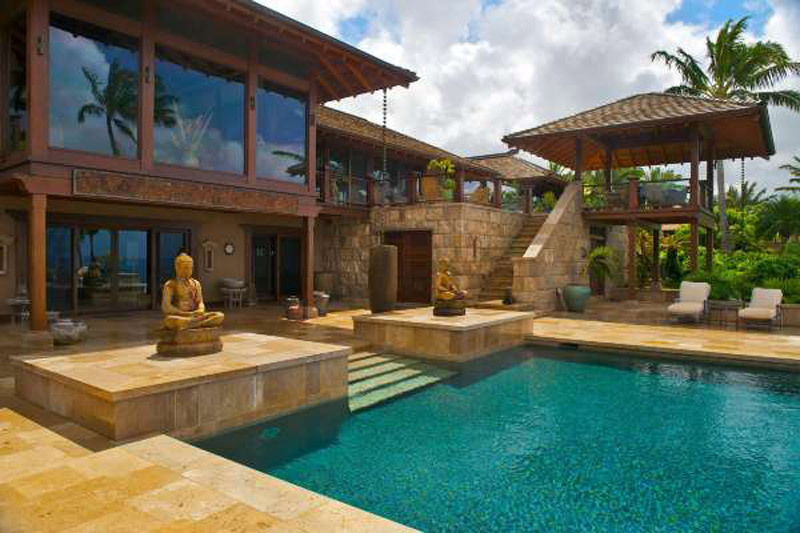 The main villa of this property offers over 1,000 m2 of space, divided into four separate pavilions. The central pavilion comes with a gourmet kitchen, a living room, a dining room, an office and a bedroom with a large, comfortable bed and bathroom. 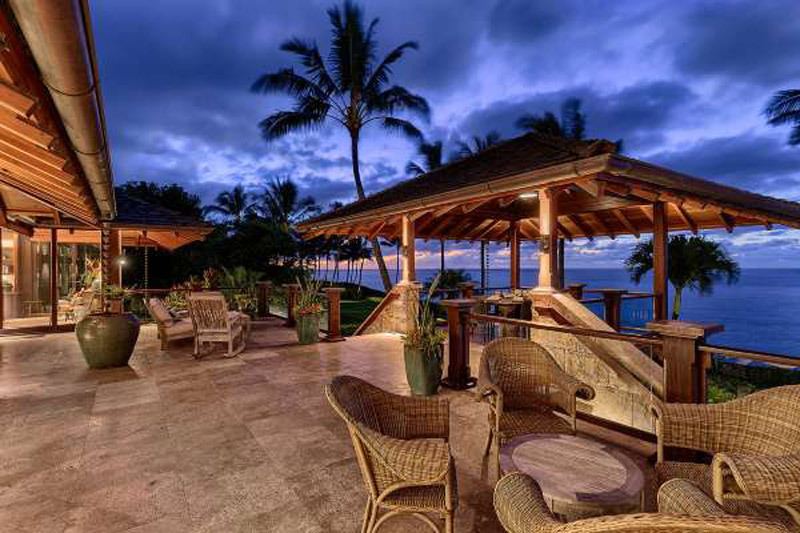 Each room in the central pavilion opens up to the covered lanai, overlooking the ocean. The media room, gym and bar serving the pool are on the lower floor. Designed as a luxurious place to escape from reality, the pavilion in which the main bedroom is located, measures 110 m2, and is equipped with showers in indoor and outdoor, linen, bar and wardrobe. 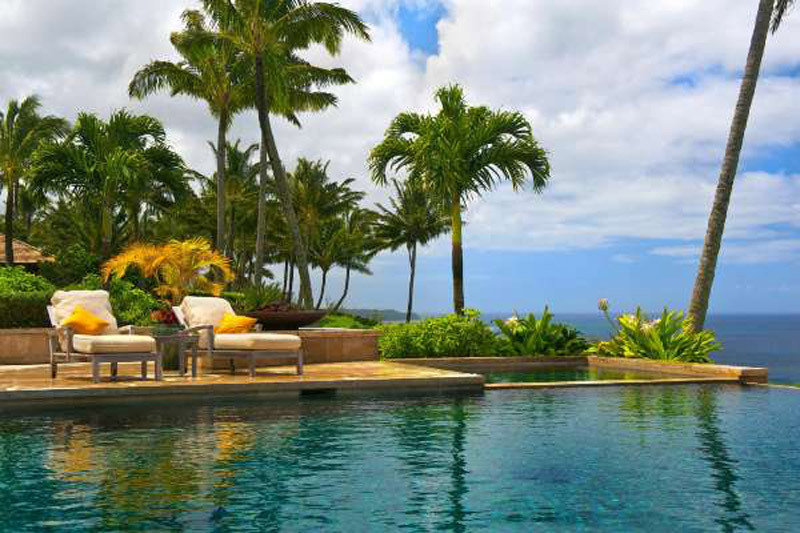 In the exterior, more than 800 m2 is covered with lanai, pools and terraces. Part of this property is a two-bedroom apartment for a housekeeper. 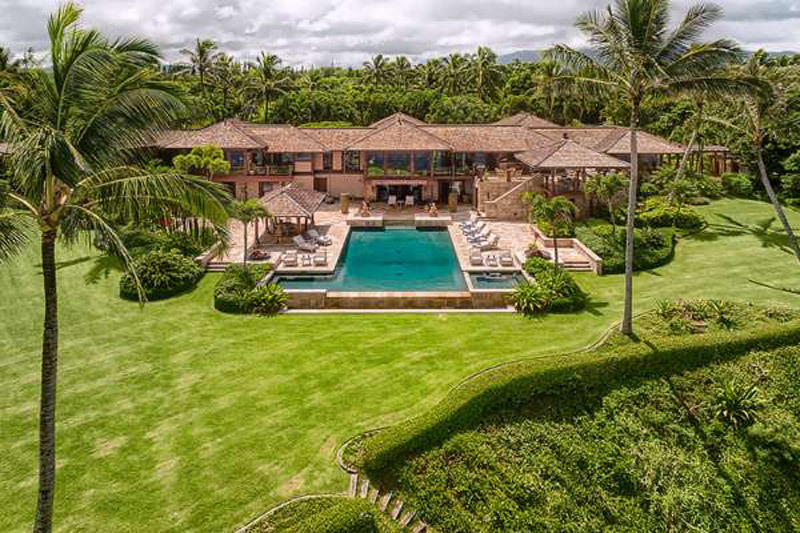 The previous record for the most expensive family house in Hawaii belonged to a property located on Maui, which was sold at a price of $41.8 million three years ago. In 2016, two penthouses in the Waiea skyscrapers were put up for sale at a price of $35 and $36 million, and if sold for these sums, they will also become record holders in their segment.